A leading commercial manufacturer of heating, ventilating, and air conditioning unit (HVAC) came to Polymer Technologies with a problem: their supplier wasn't able to deliver isolation mounts on time. 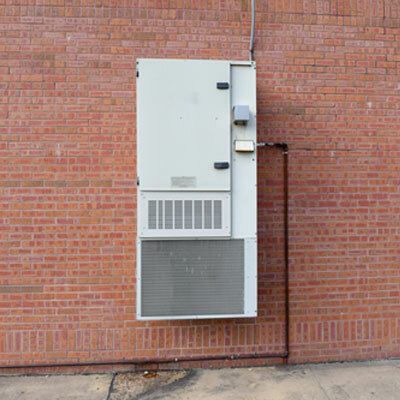 While disruptions in the supply chain can happen, the HVAC manufacturer was completely caught off guard because their supplier didn’t let them know ahead of time that the isolation mounts they needed would no longer be in stock. Polymer met one-on-one with the client to explore comparable solutions in regards to durability and pricing that could be delivered quickly. When the HVAC manufacturer contacted Polymer Technologies, they needed an equivalent solution to their previous vibration isolation mounts. The mounts would be used for vibration isolation in HVAC units for mobile offices and classrooms, so they had to be suitable for heavy-duty applications to mitigate excess vibration and noise. Additional noise from shaky HVAC units would disrupt users while excess vibration would compromise the integrity of the HVAC’s blower motor assembly. The manufacturer needed a new vibration isolation mount that was able to not only perform but be delivered on time.The disruption caused by their previous supplier made lead times extend between 8 to 16 weeks for the HVAC manufacturer. Polymer listened to the manufacturer, understood their requirements and need for a speedy turnaround, and quickly provided them with an isolation mount for testing that met their manufacturing needs. By understanding the HVAC manufacturer's specifications for isolation vibration, Polymer was able to provide them with a comparable alternative: SquishyFlex® Anti-Vibration Mounts. Developed by Polymer’s Technologies Elastomeric Solutions Division (ESD), SquishyFlex® mounts are easy-to-install and suitable for use with blower motors in HVAC units. The three different spring rates provided by SquishyFlex®, coupled with its fail-safe, drip-proof design, gave the HVAC manufacturer a suitable and less expensive isolation mount alternative. To cut down on extended lead times, Polymer was able to do what the competition couldn’t: provide local warehousing and fast turnaround times on parts. Polymer Technologies was able to cut down the excessive 8 to 16 week lead time to just one week! To help meet deadlines, Polymer also provided the HVAC manufacturer with a 48-hour turnaround on orders with emergency overnight deliveries if needed. Polymer’s solutions successfully met the goals of the HVAC manufacturer. Ultimately, a great manufacturer needs a great supplier to be their partner to deliver results on-demand. By working one-on-one with the manufacturer, Polymer was able to get to the crux of the problem and provide a durable HVAC vibration isolation solution that is locally warehoused and consistently delivered on time, every time.